Ran across this recipe on Pinterest last week. 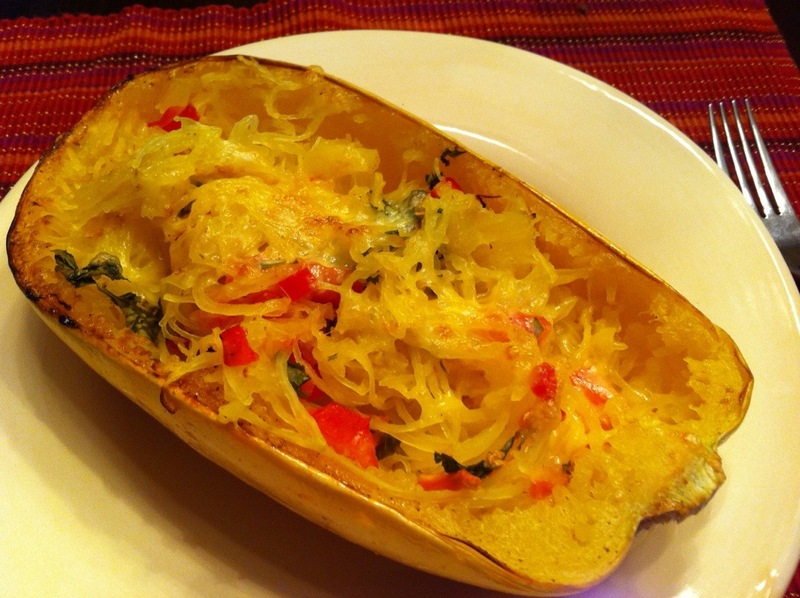 When I saw spaghetti squash at the market on Wednesday I knew what dinner would be that night! The recipe was really easy and had few ingredients. Benzo and I both really liked it. And we even got our 2 year old to try it by conveniently leaving out the word “squash” and just calling it spaghetti. He ate a few bites which I was happy with. Next time I would add more tomatoes and basil. Also the spaghetti squash on its own was not enough dinner for either of us. We were both a little hungry afterwards. I would definitely serve a big green salad with lots of fixings alongside next time. Or maybe some quinoa bites. Overall though the recipe made me want to eat spaghetti squash more often. I’m going to search for other recipes to try. If anyone has a favorite please share!